The Lucy Show was formed in South London in 1983 by Mark Bandola and Rob Vandeven, who had left their native Canada for England in the late 1970s. Bandola was born and raised in Winnipeg, Manitoba and lived for six years in Calgary where he became high school friends with Vandeven (born in Olds, a small Albertan town). Bandola moved to the UK in 1978 and attended art school in London. Vandeven moved to London in 1979 after an extended holiday visit to England. Their first musical excursion in London was a three-piece power pop outfit called Midnite Movie, with Bandola as the primary songwriter and guitarist, Vandeven singing and playing bass, and Paul Rigby on drums. In 1983 Bryan Hudspeth became the group's full-time drummer and guitarist Peter Barraclough joined the band shortly thereafter. At this point Vandeven's own songwriting came to the fore and the quartet changed their name to The Lucy Show. The band name occurred to Vandeven and Bandola at a pub one night when they thought 'The Lucy Show' would be a hilarious name for a group. A few days later Vandeven (whose mother's name is 'Lucy') lobbied that the band actually adopt the moniker. Bandola at first shied away from the idea, but within a couple days he too considered 'The Lucy Show' to be an improbably great name, and the decision was made. Vandeven composed the lion's share of The Lucy Show's early-recorded work, although the songwriting was later evenly split with Bandola on the group's two albums. But this early period was fruitful for both songwriters  with Bandola's "The Twister" (later recorded for 1985's ...undone) and Vandeven's "Melody" (later recorded for 1986's Mania) being their first ever Lucy Show compositions. The duo's songwriting process remained fairly consistent throughout the band's tenure: songs, nearly finished in the writer's mind, would be brought into the Lucy Show rehearsal room, where they would be hashed out and refined among the members, and then finally rearranged before recording. In 1983 the band released its first single, "Leonardo da Vinci," on Shout Records (b/w "Kill the Beast," on which Barraclough sang lead vocals on his lone Lucy Show creation). Shout was a small left-wing label in the UK that was home to artists like New Model Army. On the strength of this debut single, the buzz surrounding The Lucy Show grew fast around London. John Peel was playing the song on a nightly basis and crowds at The Lucy Show's gigs got bigger and bigger. The quartet performed at venues like the Ad-Lib Club (Kensington), Rock Garden (Covent Garden), Tunnel Club (Woolwich), Half-Moon (Putney), Camden Palace (Camden), and Dingwalls (Camden). A&M Records UK became very intrigued by The Lucy Show, but was reluctant to sign the band without proper management. A&M subsequently invited Dave Margereson (ex-A&R man for A&M, current manager of Supertramp) to fly over and see the band perform. Margereson was likewise impressed and signed The Lucy Show immediately to his Los Angeles-based company, Mismanagement Inc. With management in place, and just six months after their debut single's release, The Lucy Show inked a multi-album major label deal with A&M UK on 21 March 1984. A&M first created a label imprint for the band (Piggy Bank Records) to release the next set of Lucy Show singles. The Electric Dreams 7" (b/w History Part I) came first, in 1984, and was produced by Richard Mazda (Wall of Voodoo, The Fall, The Pastels). The single included a pair of Vandeven compositions  the A side of which being an up tempo piece with guitarwork incorporating piercing chords hinting at The Police or early INXS. "History Part I" is much darker and industrial  imbued with electronics and a chorus replete with haunting vocal harmonies (the song would have been a welcome addition to the early 4AD discography). Next in 1984 came the four-song Extended Play EP, produced by the band and comprising three Vandeven songs ("Price of Love," "Resistance," and "See It Goes") and one by Bandola ("Is It"). Extended Play hit #1 on the U.S. college radio charts, featuring "Price of Love"  a dark, dance-pop piece with driving eighth-note pulsations and a rousing chorus. "See It Goes" (b/w "Resistance") was simultaneously released as a 7" single, and "Resistance" would later be remixed for the band's 1985 debut album. On "Is It," the EP's closing track, Bandola's voice takes center stage from the opening measure, accompanied only by piano and strings, until the rhythm section gradually bursts onto the scene (uniquely structured, the song actually begins with the bridge, resurrected again some two minutes later). A busy year that began with a major label contract ended on another high note for The Lucy Show. After sending R.E.M. a cassette of their music, The Lucy Show was personally invited by the band to support them on their 14-date Fables of the Reconstruction tour of the UK. In 1985 A&M released Ephemeral (This Is No Heaven), the first single off the upcoming ...undone LP. Bandola's "Ephemeral" masterfully juxtaposes verses etched with sparsely situated guitar melodies and soaring choruses laden with lush backing vocals. The 7" single was backed with Vandeven's "The White Space"  the first Lucy Show song to inaugurate comparisons to Seventeen Seconds era The Cure (a band The Lucy Show had never really followed, but later discovered (and enjoyed) after reading such critical comparisons to their own work). The Ephemeral 12" also included a newly recorded (and longer) version of their first hit "Leonardo da Vinci." A&M generated even more anticipation by following Ephemeral with the Undone 12", featuring the forthcoming album's upbeat, catchy title track (b/w "Dream Days"  the layered, frenetic ...undone album closer). The eleven-song ...undone LP was released in 1985, produced by Steve Lovell (Blur, James, Julian Cope, Railway Children) and Steve Power. At this time The Lucy Show began filling to capacity London venues like the Marquee Club and the Lyceum Ballroom. Across the Atlantic, the record became a big hit for the band: the record landed at #1 on the U.S. college radio charts and a tour across America soon followed. In addition to the four previously released songs mentioned above ...undone features several other Lucy Show fan favorites. The backbone of "Come Back to the Living" is the verse's ultra-catchy, stabbing guitar riff, but the payoff is the song's sweetly melancholic chorus and a well-placed, ferocious guitar solo. "Better on the Hard Side," is a bold, epic Vandeven arrangement, centered on a singular bass line which repeats throughout the song's entirety (save for the 45 second coda). The song builds (e.g. U2's The Unforgettable Fire) through to a stirring chorus of sweeping string melodies performed by Fiona Stephen (Belle and Sebastian, David Byrne), who also plays on "Resistance" and "The White Space". "Better on the Hard Side" segues into "Remembrances," a song constructed in classic Bandola style  sparse opening verses, gradually ripening in anticipation of an arresting chorus. Only "Remembrances" has a twist: the song builds, but does not burst  the climax of this next-to-last track is withheld for the finale. Instead, the song's bass jabs and guitar squalls cleverly foreshadow the absolute torrent of feedback that defines the scorching album closer, "Dream Days." The Lucy Show was nominated for a CASBY award (Canadian Artists Selected By You) as Most Promising Group. The band was nominated along with Chalk Circle, Moev, Northern Pikes, and Perfect World and performed “Resistance” on the night of the awards. Despite the great success of The Lucy Show's debut album in America, an administrative shake-up of the top brass at A&M UK left the band without their original core supporters at the record company. By the end of 1985, A&M UK decided not to pick up their option for a second Lucy Show record. This news came as a shock to A&M in the U.S. who were quite pleased with The Lucies (and the tens of thousands of records ...undone had sold for them). Unphased, The Lucy Show marched on with their management in tow  still firmly supportive of the band and its new material. The new songs, Vandeven and Bandola's most multifaceted to date, were ultimately recorded without the financial assistance of a record label. They did have the assistance, however, of one of the world's most acclaimed producers  fellow Englishman John Leckie (New Order, Stone Roses, Radiohead, Trashcan Sinatras, XTC, Felt, The Fall, Ride, Verve, Simple Minds). Bandola and Vandeven had been particularly impressed with Leckie's production of The Fall's The Wonderful and Frightening World Of... album. Vandeven approached Leckie with a simple cassette of their new music and the producer was so impressed he wanted to record The Lucy Show right away  even without a contract! Leckie's talent for building a dense ambience through layers and layers of instrumentation and effects made for a stark contrast to the generally sparser production and arrangements on ...undone. Leckie brought his own unique techniques to the recording, such as mic-ing up unplugged electric guitars ("Shame"). He also suggested arrangements to the band, such as the Hammond organ on "A Million Things" and Bandola's piano on "Sad September." It was a studio experience the band would treasure, and it yielded them a rich, opaque album in which deliciously penned melodies carved a path through a maze of reverbed, shimmering guitars. The Lucy Show recorded thirteen songs in 1986, ten of which would comprise their second album, Mania. The band eventually elected to sign with the American wing of Australia's Big Time Records for the release of the album in North America. By the mid-1980s Big Time was a particularly promising independent label  home to artists such as Love & Rockets, The Dream Syndicate, Redd Kross, Jazz Butcher Conspiracy, Dumptruck, Hoodoo Gurus, and Alex Chilton. Big Time released the record as both an LP and a CD (with two extra tracks: "Jam In E" from the A Million Things 12" and "Invitation" from the New Message 12"). Mania begins with the swirling "The Land and the Life"  a captivating, hypnotic piece that layers sugar-sweet Beach Boys harmonies on top of reverb-drenched guitars. The two-minute song is a perfect pop confection  short, sweet, and entirely addictive. Bandola's recurring riffs on "View From the Outside" keep good company with R.E.M. 's Lifes Rich Pageant, but the song ultimately distances itself from Athens rock by its gradual addition of dizzying guitars and the layers upon layers of vocals at the coda that spin by like passing tornados. The song closes with a series of serene bell strikes, which eventually segue into "Sojourn's End." In "Sojourn's End" and "Sad September" Vandeven wrote two compositions that recall John Lennon's work on Rubber Soul. Like an up-tempo "Nowhere Man," the former boasts verses framed by well-placed harmonica wails and a chorus with an endless array of hooks. Leckie's timeless, exquisite production is on full display (he also engineered Lennon's 1970 Plastic Ono Band record), carefully melting Vandeven's breezy voice with the song's warm instrumental arrangements. As Bandola's ("If I Needed Someone") acoustic guitar melody fades at the song's close, the bells continue to strike, ushering in "Sad September"  Vandeven's definitive ballad. The elegant song offers a bittersweet palette of brushed drums, sweeping keys, and plaintive acoustic picking in which every wistful syllable signals the longing for love lost. "A Million Things" was the first single released off Mania, and the song scored The Lucy Show a major college radio hit in the States, and its lively video received significant MTV airplay. The song features a skillful collection of harmonica, organs, and a rare guitar solo during the bridge. Bandola's tenor has never sounded so poised  playing off the driving bass in the verse and his own backing vocals during the chorus. "Sun and Moon" is a brisk number, and most resembles ...undone (e.g. "Resistance"). Pulsating basslines and blistering guitars conjoin in a manner that brings to mind The Cure, sans histrionics. "Shame" presents a sleight of hand  the song offers one of Bandola's most catchy, soaring vocals, but it is not until after the melodies are well-etched into the head that one realizes the song is a actually a forceful account against the practice of Apartheid. It is this powerful juxtaposition  beautiful music with a somber message  that makes the song the perfect carrier for its more general corollary: one who indirectly reaps the benefits of wrongdoing is also culpable and ought to carry the full weight of shame. 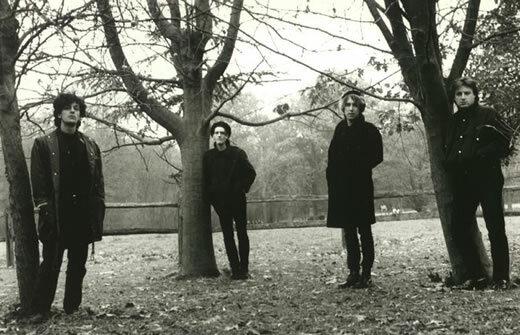 Despite its stylistic overlap, "Melody" pre-dates Jesus and Mary Chain's Darklands by one full year, demonstrating in clear fashion how The Lucy Show was as relevant and trend-setting as any member of England's movement of artists in the mid-1980s that eschewed the slick, glossy techno of the times in favor of music that coated 1960s melodies with modern usages of reverb and feedback (a movement that spawned not only JAMC, but also My Bloody Valentine, The Primitives, and the C86 scene). Like the formula JAMC would later exploit to great commercial success, "Melody" turns on deceptively simple chords, but with such compelling textures and Vandeven's appealingly hazy voice, the simplicity is disguised. "Part of Me Now" prominently features the warmth and charming vulnerability of Bandola's voice. The song is a cautious lo-fi composition built around piano and keys in which the intimate, up-front delivery builds a direct connection with the audience (much like Bernard Sumner's voice in New Order's "All Day Long" - without the swelling electronics). Chord progressions in the verse and chorus move with such natural grace, the narrator's sincerity and credibility is all the more enhanced: "I've been hit / I've been smitten somehow / Weave your web / You've got a part of me now." "New Message," Mania's second single, closes the album on an incredible high, enhanced by the appearance of England's premier trumpeter, Roddy Lorimer (The Waterboys, Spiritualized, Blur, Pale Saints)  a neighbor of the band in South London. Lorimer's "Penny Lane" melodies during the verse are outdone only by his riveting 40-second solo that appears halfway through the song and in the coda. All the while, Bandola crafts a sophisticated melody as his voice adeptly negotiates a flurry of pulsating keys, punctuated fills, and Vandeven's bounding bassline. Mania, like its predecessor, was a big hit on American college radio, topping the charts at #1 in 1986. The Lucy Show also embarked on a successful nation-wide U.S. tour in late 1986 and early 1987 to promote the album (part of the tour was co-headlined with fellow Big Time artist Love & Rockets). In an odd circumstance, Desi Arnez  a bandleader and actor on I Love Lucy  passed away a month into the U.S. tour (the band dedicated songs to Desi at that time). The Lucy Show fully embraced the music critic's comparisons of the band to the Beach Boys generated by Mania, as evidenced by the quartet including a surf-punk cover of "Do It Again" in their tour set, much to the delight of audiences. Frequent concert closers for the band included "Resistance" and "View from the Outside." In 1987 the band opted to release Mania on the UK wing of Big Time Records. "New Message," which had been re-recorded in 1986 for the US 12" with drummer Dave Ruffy (Aztec Camera, The Waterboys), replaced the original mix to close the UK version of the LP. Ruffy and guitarist Steve Spear (The Lotus Eaters) toured with the band in America and the UK for album's promotion. In support of Mania, The Lucy Show recorded a 30-minute Radio 1 session for the BBC in 1986 as well as a Janice Long session in 1987. Although Mania was a considerable success for The Lucy Show, both on radio and in record stores (with more than 50,000 in sales), ill-fated record label problems would again leave the band beset  this time in the form of the untimely bankruptcy of Big Time Records (a bankruptcy filing that occurred before the band's management even received a single payment for all those record sales!). Still, Bandola and Vandeven forged ahead with The Lucy Show, and in 1988 the band released "Wherever Your Heart Will Go," a 12" single on England's Redhead Records in which the band took a brief detour into more electronic, dance-oriented sonic territory. That summer The Lucy Show also performed at England's famous Reading Festival, but by 1989 The Lucy Show officially disbanded, after eight singles, one EP, and two stellar albums. The band had played scores of shows across America, the United Kingdom, Canada, and Germany alongside the biggest acts of the decade  New Order, R.E.M., Cocteau Twins, Bauhaus, Killing Joke, 10,000 Maniacs, and Love & Rockets. After The Lucy Show, Bandola and Vandeven both went on to other musical projects. In 1990 Bandola recorded an album, Lovers Leap, with Mitch Easter (Let's Active, R.E.M.) at his Drive-In studios in North Carolina. In 1993 four of these recordings were compiled for a remarkable EP entitled 'Til Tuesday, released under the name 'BANDOLA' on London's The Nursery Label. "Til Tuesday" is an infectious opening track with Bandola's catchy vocals simply sparkling over a bed of guitars (and Easter on an authentic '60s electric sitar). "Until the Candle Fades" is Bandola's first foray into folk, a charming acoustic number with rich harmonies that anticipates the 'quiet is the new loud' folk movement by more than a decade. "The Last Song of Summer" is pure pop that blends Peter Buck / Robyn Hitchcock guitar work with classic Beatles melodies. "Defenceless" is the anthemic closer  affixing electronics and guitars to a strong drumbeat. Quite simply, this EP is an astonishing collaboration. At the end of the decade Bandola joined the electronic-experimental-noise instrumental super-group Ausgang (not the British goth band of the same name). Ausgang originated as a project by Rob Lord (The Primitives), who eventually invited Bandola to work with him. The duo then added bassist Karl Shale (The Colourfield, The Candyskins), and finally Martyn Barker (Shriekback) on drums. The band played its first show in late 1997 at the London art venue ICA in Trafalgar Square (along with artists such as Bruce Gilbert for the 30th Anniversary celebration of the 14 Hour Technicolour Dream concert). In 1999 Foundry Recordings released Electric-Arc, Ausgang's debut album. The album hosts eleven instrumental pieces ranging from the unassuming ("Red Birds," "Comfort Unit III") to the majestic ("The Highs and Lows") and the concise ("Big 'un Beastly") to the epic ("Projectile Crockery"). Several songs flare with the daring grandeur of Bill Laswell's Material project. Ausgang continued to perform several shows in London in the late 1990s and early 2000s. In another series of musical endeavors, Bandola played keyboards on a Mitch Easter produced album by the Birmingham group called L Cage. Bandola and the bassist of L Cage, John Morrison, played for a while with another combo called Rhatigan before Morrison joined the acclaimed urban London trio Hefner. Bandola played piano on Hefner's 2000 album We Love the City. Bandola is currently writing and recording music under the moniker Typewriter. In 2003 Typewriter released its debut album, Skeleton Key, which Q magazine called "a triumph" and MOJO heralded as "31 tracks of shimmering eclectic delight  a record guaranteed to put a spring in your step." Skeleton Key, which collects Bandola songs written over a 24-year period, also includes appearances by Vandeven, Rob Lord, Roddy Lorimer, and Martyn Barker. The album's sundry selections, organized around an intentionally diverse theoretical paradigm, skillfully weave together styles that conjure up Americana, electronica, Brian Eno, the Beatles, and also The Lucy Show. In 2004 Typewriter contributed a stellar track to A Houseguest's Wish, Words On Music's 25th Anniversary tribute to the classic Wire song "Outdoor Miner." Bandola recently moved from London to the French countryside and is now at work on the second Typewriter album. Rob Vandeven played in several new bands in the 1990s including Tenfoot and Tidal, Trout, and The Spheres. But his most ambitious post-Lucy Show musical project was Zero Zero. Largely a Vandeven solo project, the material that comprised Zero Zero's debut record was written over a period of three years. Ava, released by Redhead Records in 1996, was recorded with contributions from Rob Lord, bassist Karl Shale, guitarist/bassist Mick Tedder (McAlmond & Butler), guitarist Nick Burton (The Candyskins), and Bandola (who plays on five songs - "Strong," "First Choice," "Baby You're A Star," "Red Is for Ava," and "Beautiful Dreamer"). Named after the smoldering American actress Ava Gardner (The Killers, The Barefoot Contessa, Seven Days in May), Ava includes 12 Vandeven compositions, including the single "Strong"  a svelte, hook-laden opener. Other standouts include the buoyant "Red Is For Ava," the bass escorted "Don't Let Them Nail You Down," the searing, fuzzed-out "Don't Understand," and "Boomerang"  the elegant vocal and string arrangements of which bring to mind Nick Drake performed by This Mortal Coil. Vandeven currently owns and runs the London art and digital design company, mosquitomedia. In 2003 Words On Music contacted The Lucy Show with the aspiration of reissuing the band's recordings  a catalog that had unbelievably been out of print for more than fifteen years! In Autumn 2005 Words On Music inaugerated this labor of love with the reissue of Mania. Words On Music's re-release remasters all 10 album tracks, plus seven additional bonus tracks (five of which have never been commercially available). The re-release also includes the video to their MTV hit "A Million Things." In September 2009, Vandeven released his first solo record, Lost Days. The 11-song album tours jangle pop ("I Thought I Saw You"), electro-pop ("Baby You're a Star"), and includes perhaps the most heart rendering song Vandeven has written in his 25 years of making records (the mandolin-tinged "Home"). Barraclough appears on two tracks, and Bandola plays keyboards on another. Also appearing on the record are Darius Keeler and Danny Griffiths from the UK band Archive. In November 2009, Words On Music reissues …undone, the classic 1985 post-punk debut by the London quartet. Produced by Steve Lovell (Blur, James) and Steve Power (Robbie Williams, Blur), …undone was a CMJ #1 album on U.S. college radio, led by the single "Ephemeral (This Is No Heaven)" and the title track. Through 11 seamless compositions, …undone injects howling guitars and psychedelic flourishes into bittersweet pop songs with hook-laden choruses. In December 2011, Words On Music released Remembrances, a long-awaited collection of 17 rare tracks. Among the songs found on Remembrances are both sides of their "Leonardo da Vinci" 7" (a John Peel favorite in 1983), a previously unreleased version of their stateside hit "The Price of Love," five demo tracks from their debut album …undone, a John Leckie-produced outtake from their sophomore album Mania, and two songs from a 1992 session that reunited singers Rob Vandeven and Mark Bandola with original guitarist Pete Barraclough. Remembrances is released in a six-panel digipak with detailed liner notes about each recording. Words On Music is elated to be working with The Lucy Show, as the Ostermeier brothers' musically formative years in the mid-1980s were shaped in part by hundreds of spins of Lucy Show records. Words On Music therefore extends its genuine gratitude to Rob Vandeven, Mark Bandola, Pete Barraclough, and Bryan Hudspeth for turning a daydream into a reality and for helping to present The Lucy Show's recordings to a new generation of music enthusiasts. Leonardo da Vinci (Shout Records, 1983) 7"
Electric Dreams (Piggy Bank Records, 1984) 7"
See It Goes (Piggy Bank Records, 1984) 7"
Ephemeral (This Is No Heaven) (A&M Records, 1985) 7" & 12"
Undone (A&M Records, 1985) 12"
A Million Things (Big Time Records, 1986) 7" & 12"
New Message (Big Time Records, 1986) 7" & 12"
Wherever Your Heart Will Go (Redhead Records, 1988) 12"